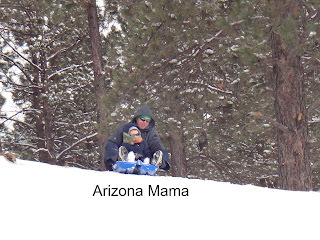 John and I took this past week off work to spend some time with the boys. 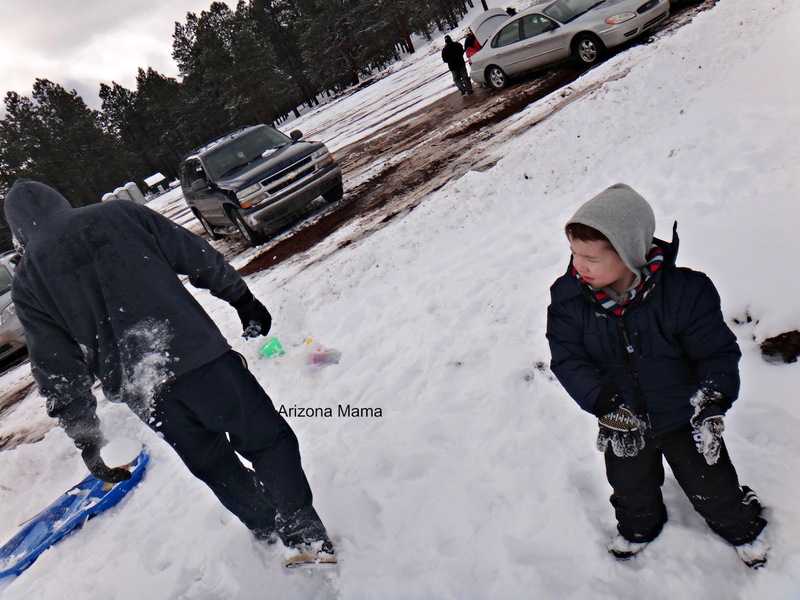 We decided to go up to Flagstaff for a quick over night trip. 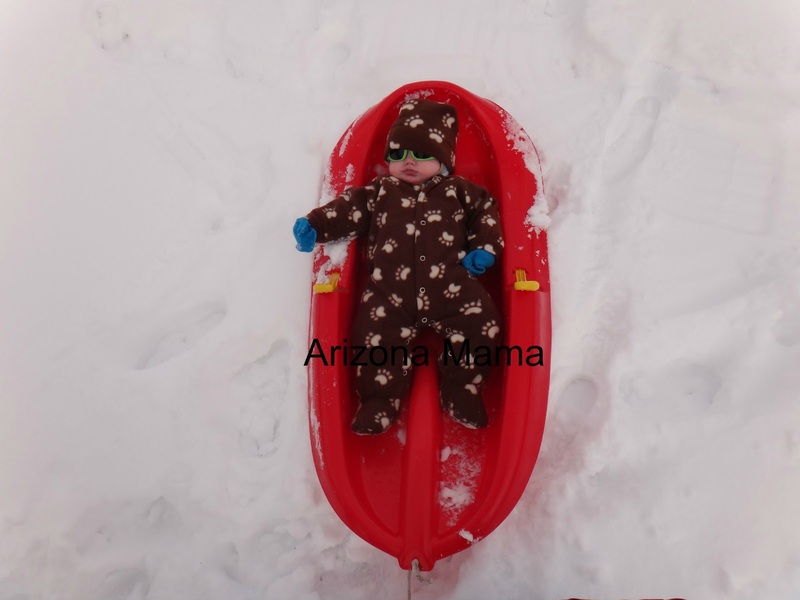 Jayden has never played in real snow so we wanted to let him experience fun in the snow. 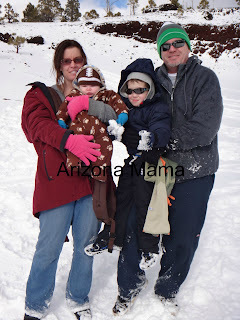 We were told about a fun place to go play in the snow so we headed out early Tuesday morning. Unfortunately, after checking the voicemail of the place and driving all the way up there it was closed. No sign as to why, just gate closed. 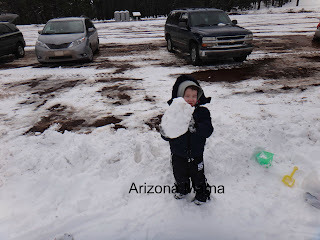 But as we drove down the road and were not able to turn around due to so much snow and no turn around areas we found a pull off area that had a parking area along with bathrooms and lots of snow to play in. So we decided to park. 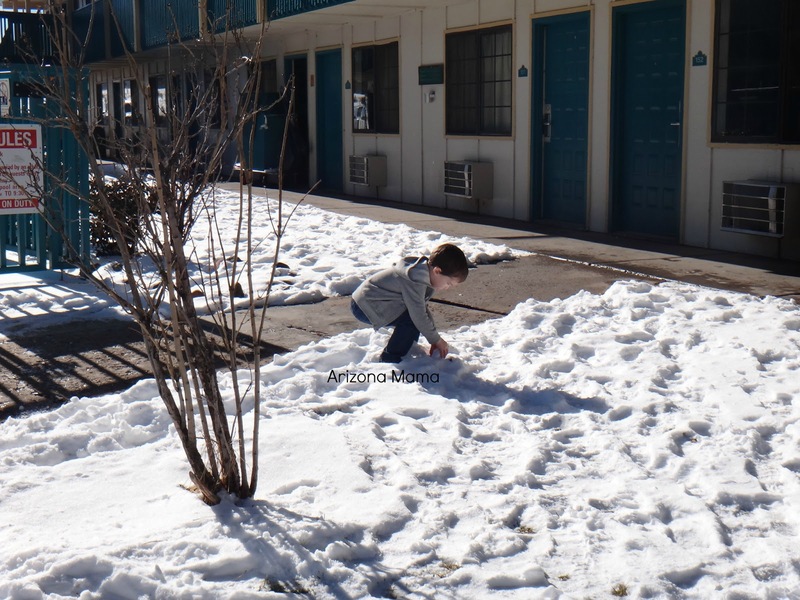 There were a few others there too since the snow play place was closed. 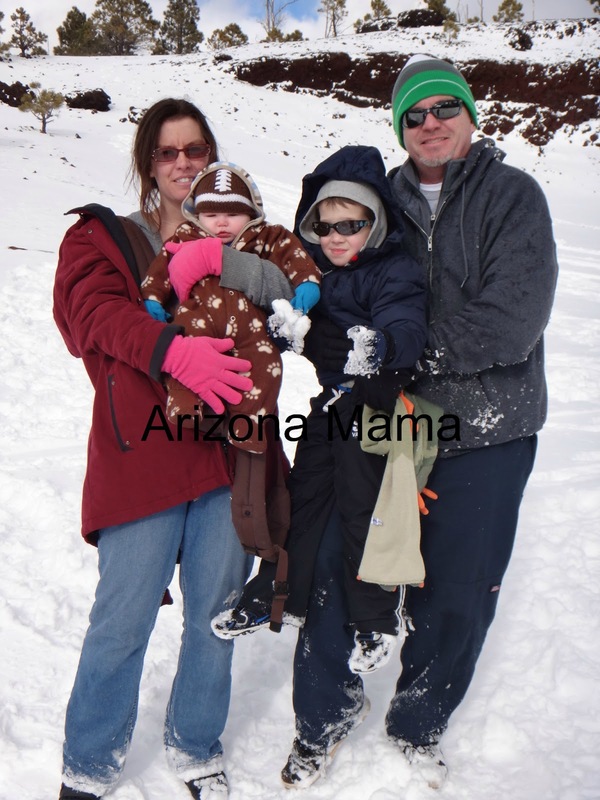 (I am not naming them since I am not happy they said "conditions are great come play" on their voicemail and they were closed.. how rude!) 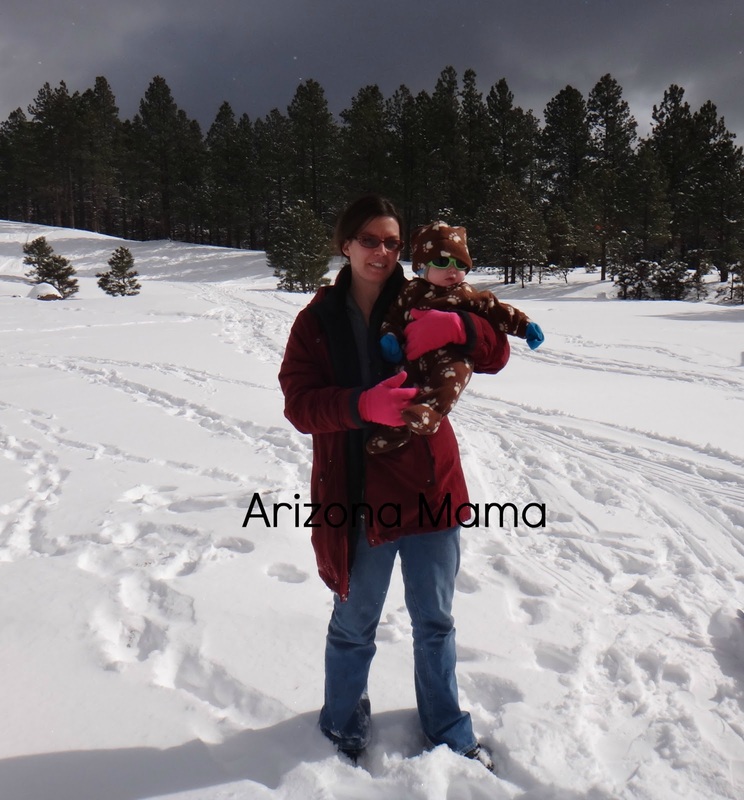 But we were happy to find a great area to play in the snow and it was free. Jayden's favorite thing was to throw snowballs at us. 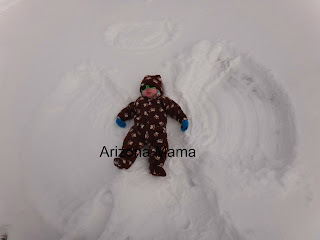 Evan my baby snow angel. Evan was not sure what to think of the sled, but he did smile some. John and Jayden went down the hill together. 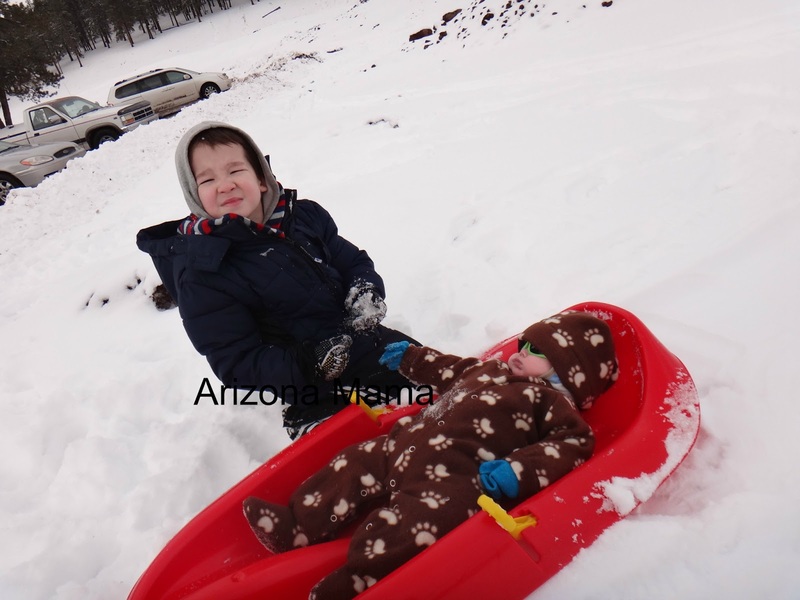 John and Jayden were wrestling in the snow and having a good time. 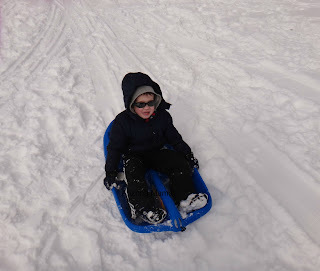 Jayden finally went down the smaller hill by himself on the sled. Of course after we got him to do it he would not stop. Jayden took full advantage and even played in the snow at the hotel before we left for home. 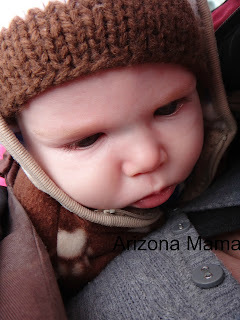 Our visit to Flagstaff was cold, but fun and worth it.